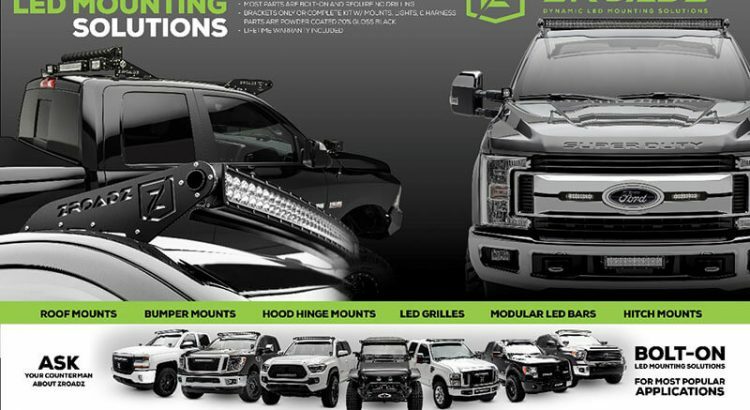 ZROADZ offers over 200 brackets and kits for all popular domestic and import late-model trucks and Jeeps—including many patented items not available anywhere else. 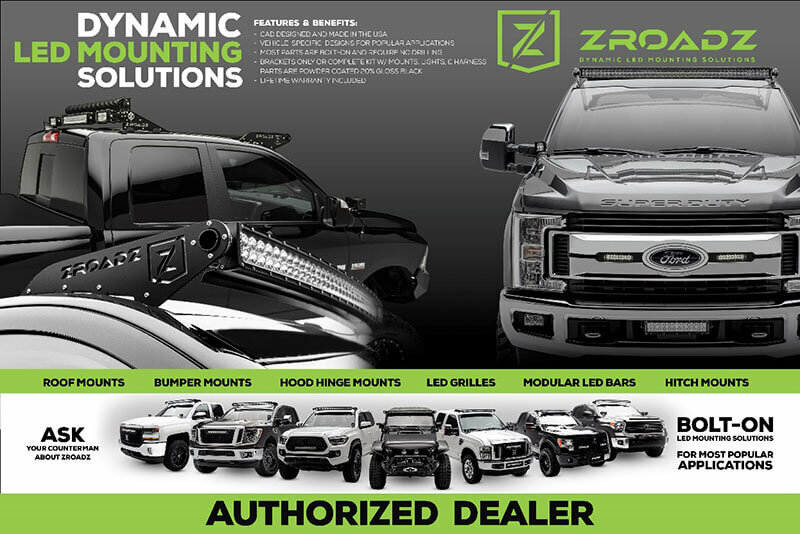 ZROADZ roof mount brackets and kits feature patented single-bolt mounting to provide the sturdiest roof mount anywhere, plus the driver-side bracket mounting lug doubles as a wire pass-through into the cab. Never again wonder where you are going to run your light wires: simply feed through the hollow bolt and install the solid rubber boot. No worries about panel nuts coming loose, leaks, whistling weather stripping, or pinched wires! Have you ever installed a roof-mounted light bar only to have the customer return with noise issues? ZROADZ has solved this issue with its patented noise-cancelling wind diffusers, which can be installed in less than 15 minutes on any light bar to reduce wind noise by more 80%. 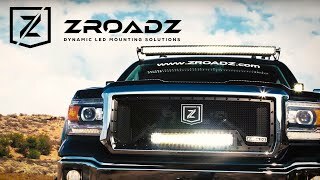 Check out ZROADZ full line of innovative mounting solutions at zroadz.com, including a growing selection of OEM LED grille inserts. Forward-, rear-, and side-facing lighting solutions. Available as brackets only or complete kits. Most products install with no drilling required. Use factory bolt holes and install with common hand tools. 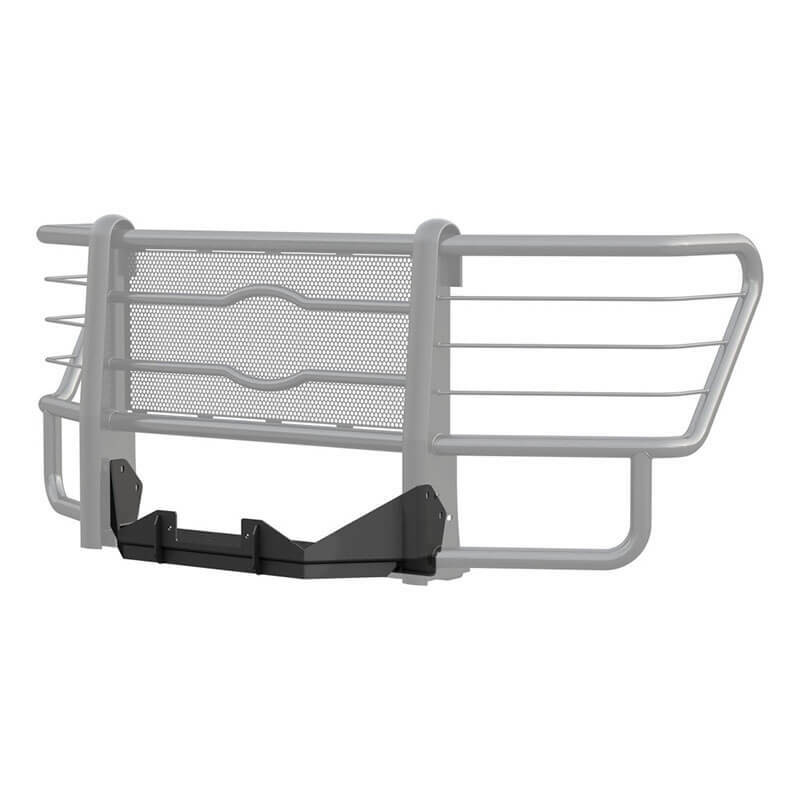 The Prowler Max grille guard from Luverne Truck Equipment takes your truck from factory to fierce, adding defense and style in all the right places. Its heavy-gauge, punched-steel screen; wraparound ring design with wire headlight cages; and strong, frame-mounted steel uprights give you the performance and protection you crave. Now Luverne has made available a winch platform to enhance your work at the job site or on the trail. The 321726 winch platform features high-strength carbon steel construction and boasts a tested 16.5K straight-line pull rating. With its standard winch mounting points (winch not included), the Prowler Max winch-mounting platform accepts most types of winches and comes with a durable dual-layer finish, starting with a zinc primer that protects the steel from moisture and rust, and finishing with a black powdercoat that adds even more rust resistance along with scratch and chip protection. Compatible with Prowler Max grille guard only. Durable, rust-resistant zinc primer and black powdercoat atop carbon steel. Tested and rated for 16,500 lb. straight-line pull. Standard mounting holes accept most types of winches (winch not included). Woven from durable 550 nylon parachute cord into a brawny “double cobra” knot, Rugged Ridge paracord grab handles feel substantial in hand and provide valuable assistance in getting in and out of your Jeep Wrangler rig. Plus, being available in a variety of colors (black on red, red on black, or gray on black), these products contribute bold tactical styling to your vehicle. Each handle secures to 2” or 3” diameter roll bars via heavy-duty hook-and-loop straps for a firm and stable fitment. Sold in pairs and backed by a 5-year limited warranty. Made from rugged 550 nylon parachute cord. “Double cobra” knot feels substantial in your hand. Attaches to 2- and 3-inch roll bars via hook-and-loop straps. Makes it easier to get in and out of your cab. Three colors available: red on black, black on red, and gray on black. 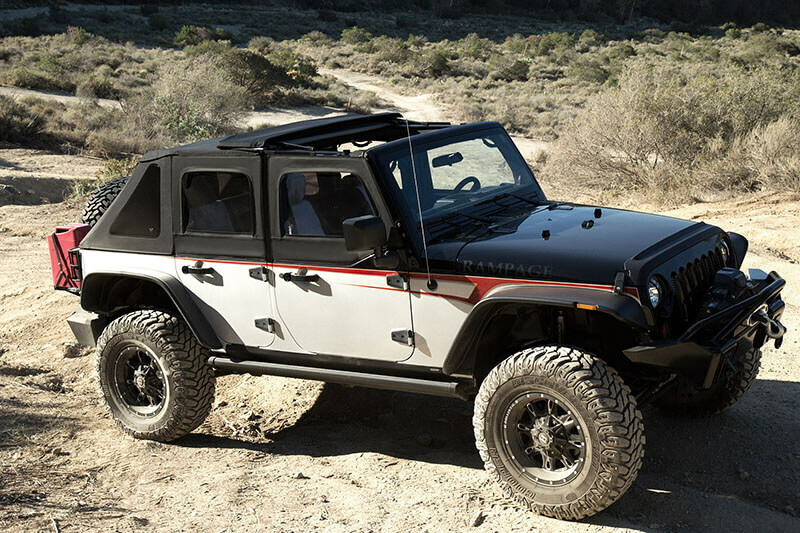 The original frameless Rampage Products top is back with a vengeance, headlined by a patent-pending retractable sunroof that can be opened with one hand from inside your Jeep Wrangler for open-air driving. Available for Wrangler (139935) and Wrangler Unlimited (139835) in black diamond sailcloth with tinted windows, the TrailView also includes removable rear and side windows that quickly convert the soft top into an open safari top. Rampage has included features like window and front storage compartments, door surrounds, UV- and mildew-resistant fabric, molded tooth zippers, anti-puddle support poles for improved water runoff, and an aerodynamic design that keeps the top in place while you’re cruising at highway speeds. 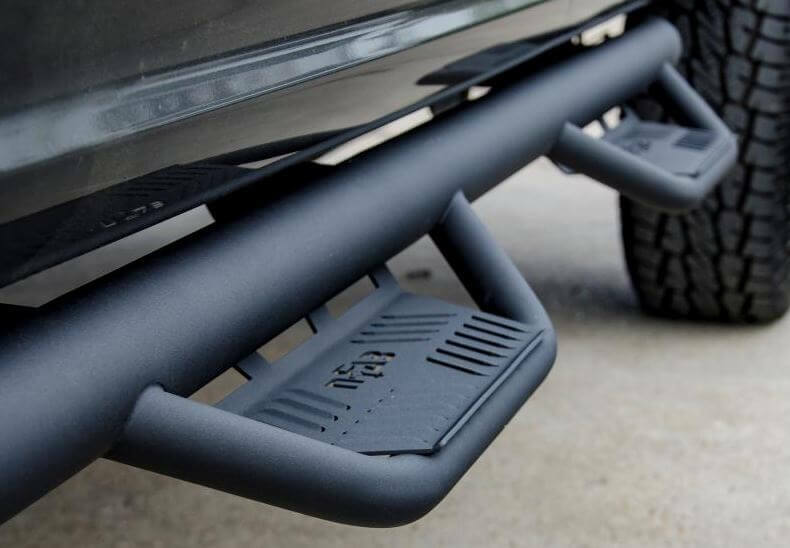 For 2007–2016 Jeep Wrangler JK and JKU. Retractable sunroof can be opened from inside your Jeep. Premium sailcloth fabric resists sunlight fading and mildew. Level It suspension kits from Rancho eliminate the rake from your F-150’s front end while raising the front suspension up to 2”. 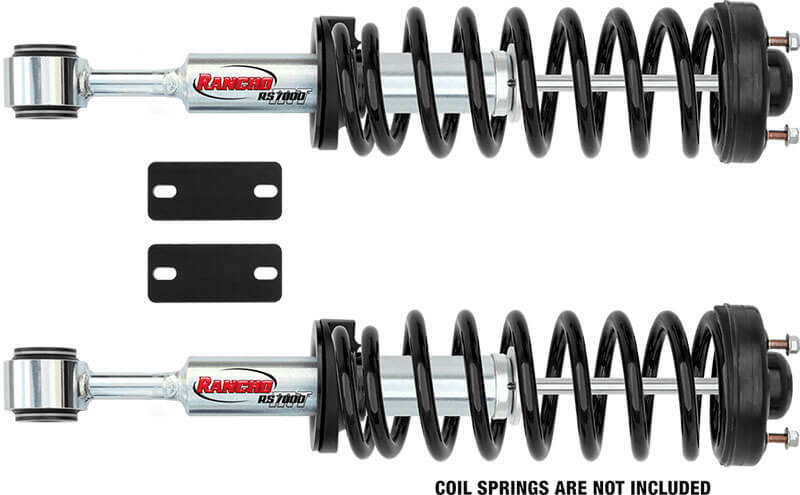 Rancho’s award-winning quickLift RS7000MT monotube struts additionally provide an improved ride and a polished, aggressive look thanks to the unit’s brushed and plated design. RS66502R7 includes a set of sway bar drop brackets to ensure a precise ride. The Level It suspension kit requires the transfer of stock factory spring and top mount during installation, and was developed using 35” tires (some trimming required). Levels the front of your truck. High-pressure monotube struts and drop sway bar brackets. Requires transfer of factory spring and top mount. Via mail-in form. Offer valid August 7 to September 1, 2017. Click image for printable form and complete details! <p>Via mail-in form. Offer valid August 7 to September 1, 2017. Click image for printable form and complete details! 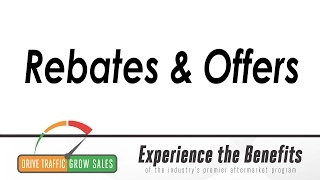 Because we enjoy relationships with the industry’s biggest manufacturing names, we’re the first to know when rebates and offers come through on their most popular products. Designed to help you sell more, these consumer specials can be the final piece you need to close a sale with a customer; that’s why Total Truck Centers™ wants to make sure you always know about the latest deals. To do that, we maintain a special page on our website that lists the current rebates from our sponsoring vendors. We also put these offers on this blog to make sure you see them when they come across your feed—so check back often to see what’s new! 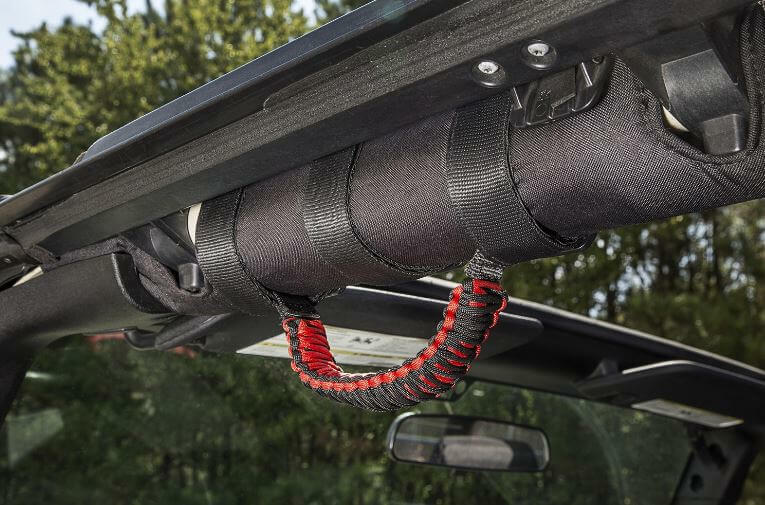 When the top is down on your Jeep Wrangler, the 4264001 underseat lock box from Bestop gives you the security you desire, providing a safe place to put your smaller valuables or personal items. This product installs with no drilling and boasts pick-resistant key locks, two keys, 16-gauge carbon steel construction, and ample storage capacity. Note: Will not fit 2011–2017 JK two door. Includes relocation kit for 2011–2017 Unlimited with new wiring plug. Fits 2007-and-up Jeep Wrangler JK Unlimited and 2007–2010 Wrangler JK. Will not fit 2011–2017 JK. Includes relocation kit for Unlimited with new wiring plug. Will not interfere with driver seat adjustment. Excellent storage solution to conceal valuables. Secures via factory seat riser bolts (no drilling). Measures 16” x 5.75” x 2.87”. Heavy-duty, 16-gauge carbon steel with textured black powdercoat. High-tech, pick-resistant lock (two keys included). 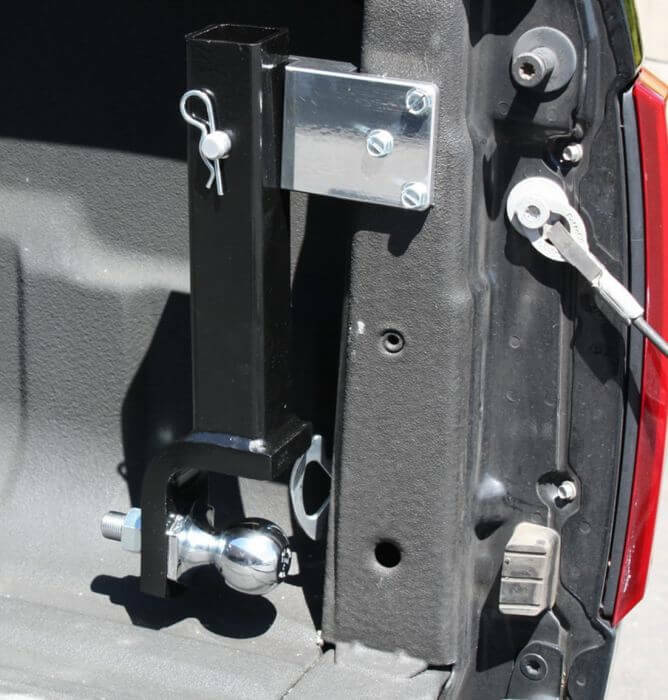 Hang-A-Hitch, a revolutionary product for trailer ball mount storage from AMI Styling, gives you a convenient place to store your ball mount between uses (as well as helping to prevent you from banging your shin on your trailer ball mount). 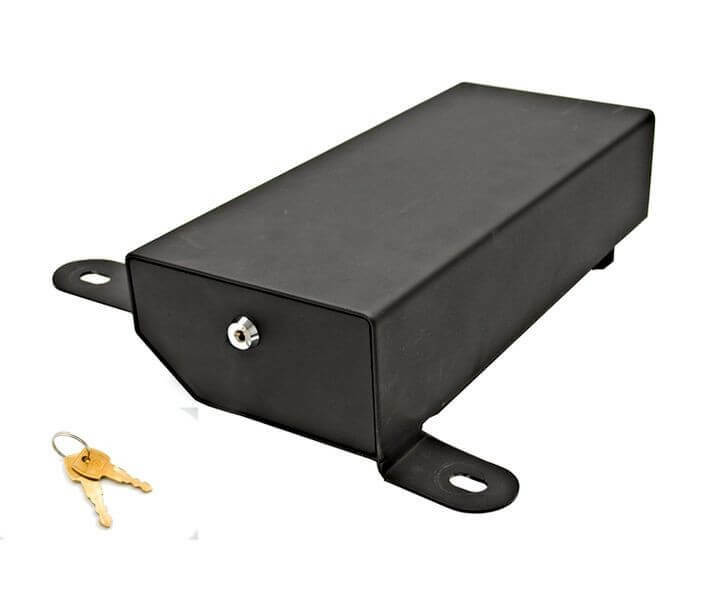 It mounts inside your truck bed opening or can be installed on the trailer itself, safely out of the way and easy to locate when it comes time to tow. Made in the USA from CNC-machined 6061-T6 aluminum, the 15200 Hang-a-Hitch is compatible with 2” ball mounts and has the additional option of padlock security (padlock not included). Stores your ball mount out of the way between uses. Mounts inside truck bed opening or on the trailer itself. Works with 2” ball mounts. Padlock capable (padlock not included). 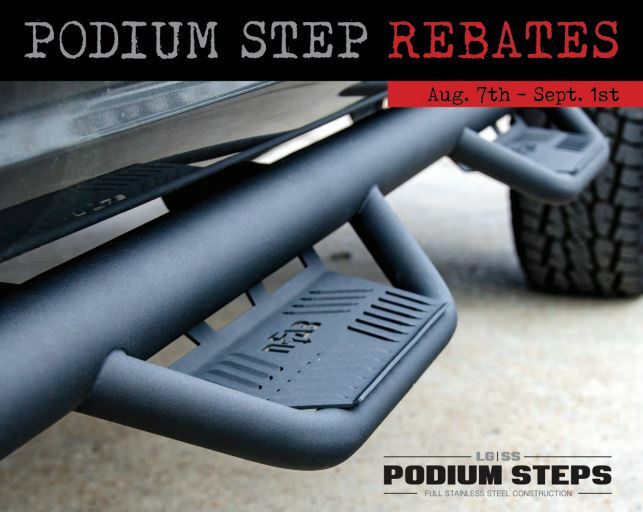 With an expanded and enclosed drop-down hoop step and 3” main tube diameter, the patented Podium Steps from N-FAB are engineered to allow for ease of access on stock or lifted vehicles. Podium Steps fit high and tight to the vehicle body to convey a modern, clean style, while the fully welded, one-piece construction lends strength, lasting durability, and ease of installation. These stainless steel N-FAB podium steps are available in two finishes: High Polish or Textured Black Powdercoat (lifetime finish warranty on the polished and 5-year finish warranty on textured black; lifetime craftsmanship warranty on both). A variety of applications available for Chevy, Dodge, Ford, GMC, Jeep, Nissan, and Toyota. Expanded and enclosed drop-down hoop step. One-piece construction with 3” main tube diameter. Two finishes: High Polish and Textured Black Powdercoat. Finish Warranty: Lifetime on polished and 5 years on textured black.